5. 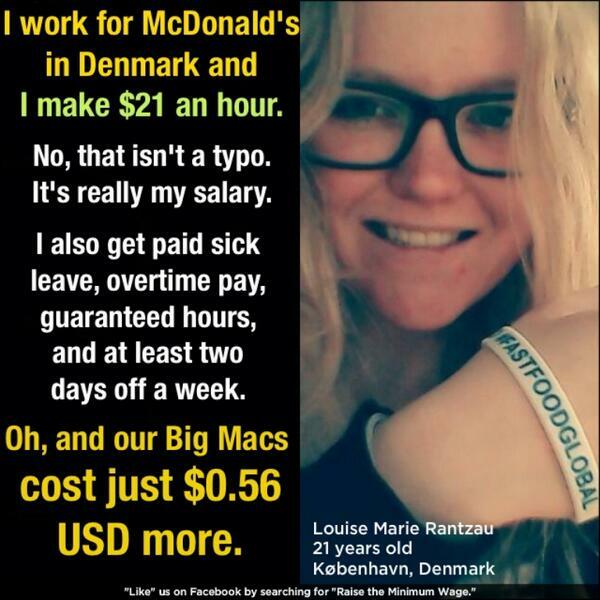 Raising the Wage: The current federal minimum wage of $7.25 an hour is a starvation wage. We need to raise the minimum wage to a living wage. No one in this country who works 40 hours a week should live in poverty. Job growth seen in states that raised minimum wage - Sen. Bernie Sanders, I-Vt., joins to discuss a new study indicating that the 13 states who raised minimum wage saw better job growth than the states who didn’t. Why the minimum wage is still $7.25 after all these years - On July 24, 2009, the federal minimum wage rose to $7.25 an hour, the last bump of a three-step increase enacted in 2007 with bipartisan support. Five years later – despite cost increases of 11% and record income inequality, and despite an unprecedented, nationwide push for higher wages in the streets, at the ballot box, in statehouses and at businesses small and large – it remains hopelessly stuck there due to congressional indifference. Who opposes it? Not over 600 economists, including seven Nobel Prize winners, who believe a higher minimum wage will generate billions of dollars in new economic activity, nor Wall Street analysts worried that low wages are holding back growth. The minimum wage challenge - Americans have been waiting five years for a pay raise, but obstructionist Republicans don't care. Ed Schultz, Rep. Tim Ryan and CWA President Larry Cohen discuss the need to raise the minimum wage.